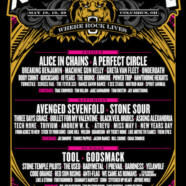 In addition to three stages of music, Rock On The Range features national and local comedy talent in the ROTR Rolling Rock Comedy Tent, led byJ.B. Smoove, Trae Crowder, and Big Jay Oakerson. 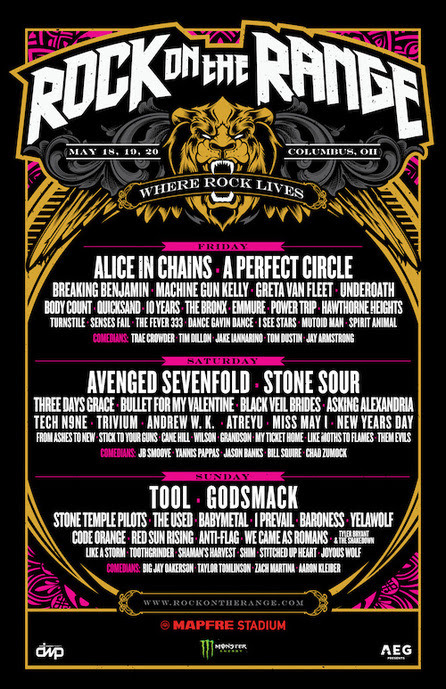 The Rock On The Range comedy lineup also features Taylor Tomlinson, Yannis Pappas andTim Dillon, along with Jason Banks, Jake Iannarino, Zach Martina, Bill Squire, Chad Zumock, Tom Dustin, Jay Armstrong and Aaron Kleiber.